It’s been another challenging year selecting, in my opinion, the most noteworthy scores from the world of film, television and video games (and more). Each category had multiple titles that impressed me and I think the nominations this year give a flavour of how strong a year 2015 was in terms of quality. Basing my choices on a difficult-to-define mix of things such as how much of an emotional impact a work has, how the music works in the project for which it was written or how enjoyable the overall listening experience is, these lists reflect my own personal taste. 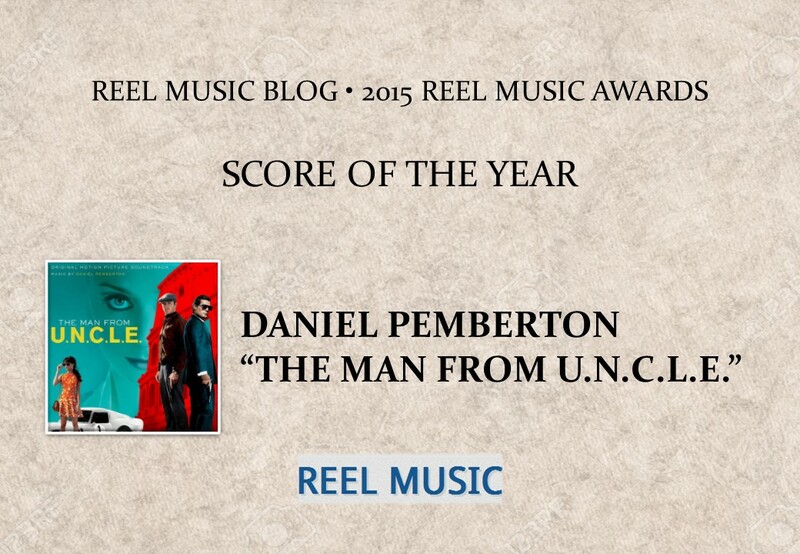 It’s time again for Reel Music to take a look back and spotlight the best scores of 2015. For me, the year just gone has been another excellent one for music composed for film, television and video games (and beyond!) and the purpose of these awards is to highlight some of the scores that have grabbed my attention over the past year. Across the various categories, the nominations are listed alphabetically. Note that, in addition to the categories featured in the 2014 Reel Music Awards, there’s a couple of new categories which reflect the growing quality of music composed across the various genres. To recognise the increase in the availability of the digital-only media presentation of archival film music, the “Archival Score (Digital)” category has been created. And 2014’s “Games & Other Interactive Media Score” category has been split into two separate categories: “Games Score” and “Score Composed for Other Media” – to cover titles which do not fit comfortably with the other genre categories. A “New Recording of an Archival Score” category has been added to highlight a number of impressive re-recording projects that came to fruition in 2015.